We were awarded the IDI-BD2K grant, and are getting ready to select students for next year. 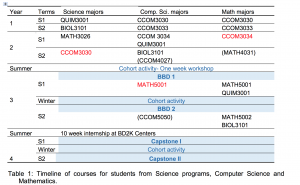 If you want to participate, try to select the courses you need to get up to speed during pre-registration. 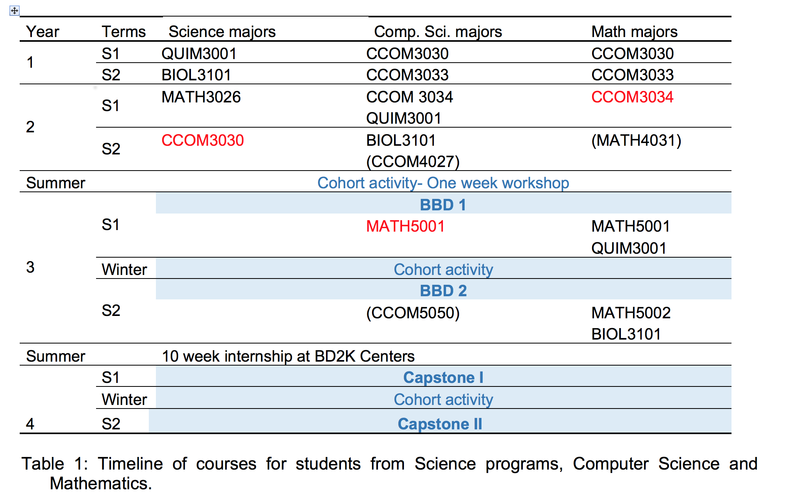 Here’s a copy of the table showing the courses we want you to have. If you have questions, speak to one of the participating researchers. Previous Previous post: Roche-Lima, Abiel – Machine Learning to Predict Biological Networks.